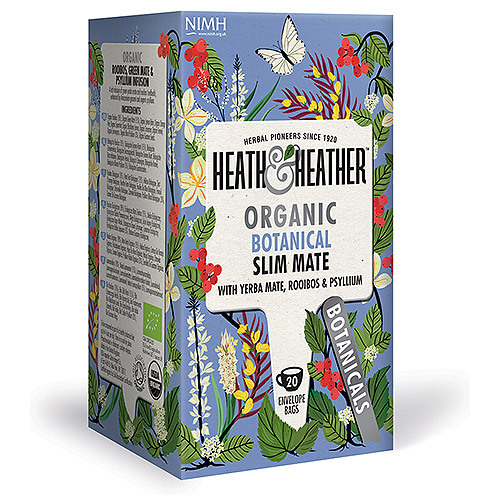 A metabolism-boosting infusion of green yerba mate, guarana seeds and rooibos (redbush). Organic psyllium husk is a soluble source of fibre which assists natural weight loss through natural bowel movements, detoxing the gut and curbing food cravings. Please be aware that this tea contains Maté and Guarana seeds which contain caffeine. Therefore we do not recommend this tea for pregnant or breastfeeding women. 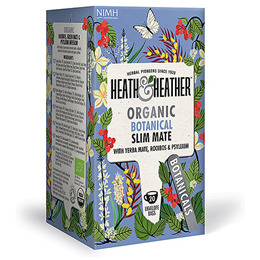 Below are reviews of Heath & Heather Organic Botanical Slim Tea - 20 Bags by bodykind customers. If you have tried this product we'd love to hear what you think so please leave a review. Highly recommended if you're looking for a detoxing tea. Tried different detoxing/slimming tea before but this one is the best!